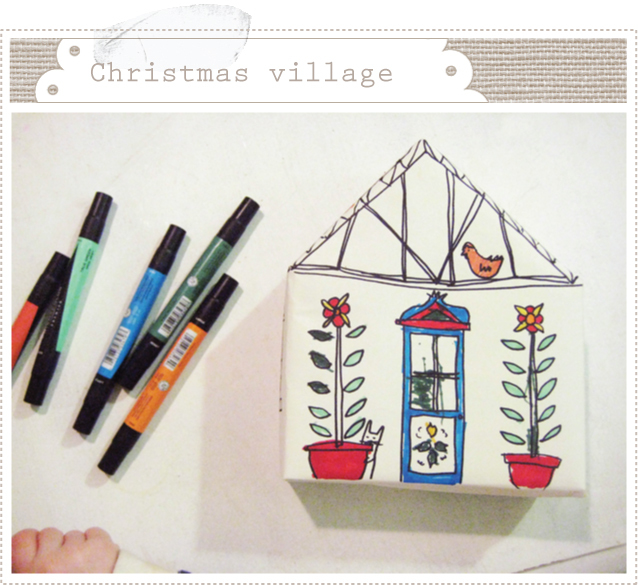 For one of our advent activities we made a Christmas village (OK so we only have one house done) out of old cracker boxes, butcher paper, permanent and prismacolor markers. 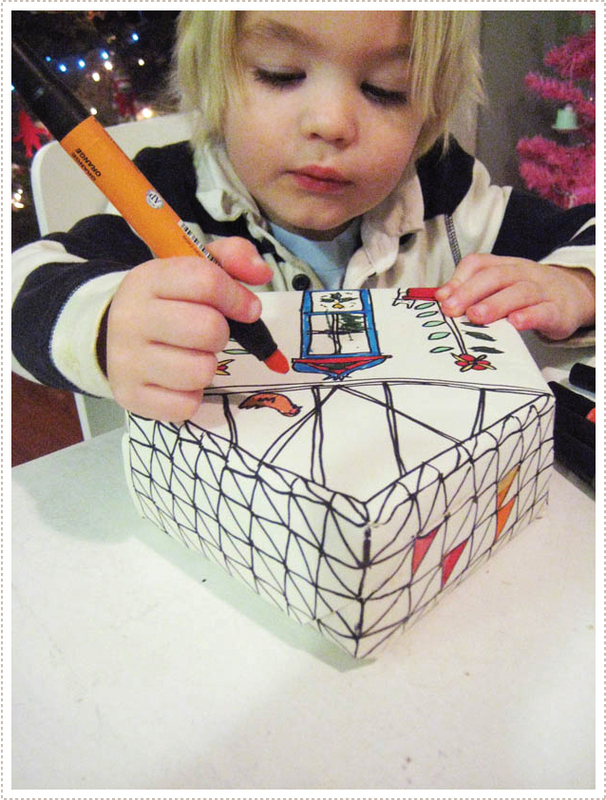 I sketched a loose drawing on the house and Little A had a magical time coloring it in. He's just at the right age to really get into it and I loved watching him. 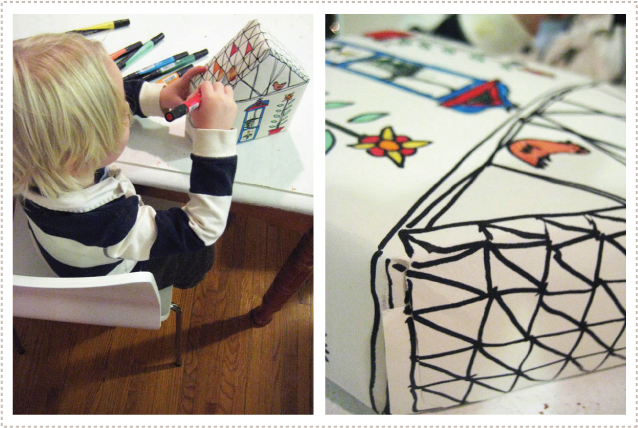 He was especially into coloring in the individual roof tiles and continually asks to draw on his house. 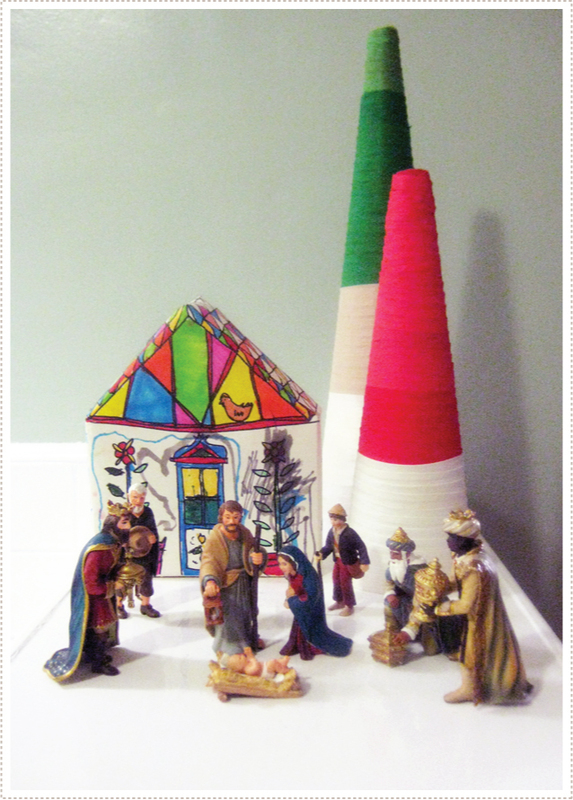 It's been an ongoing project and the house gets more colorful each day we get closer to Christmas. 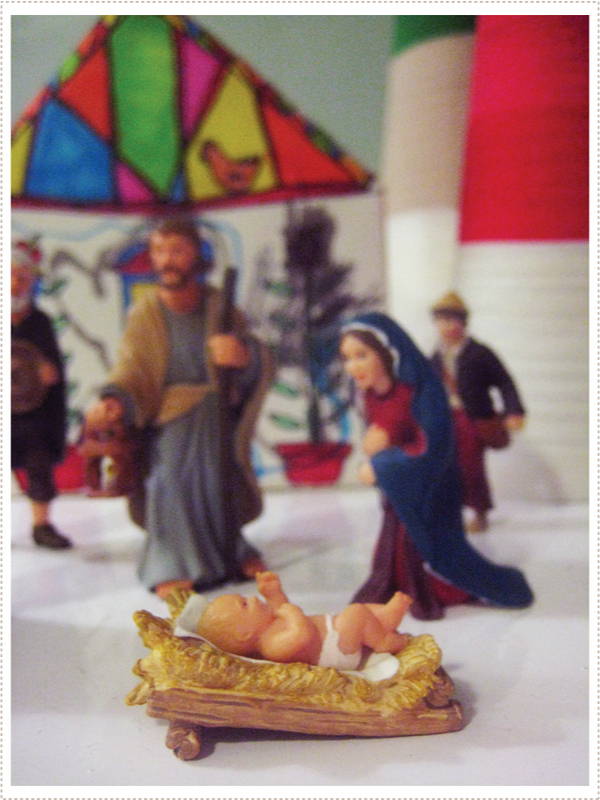 We ended up placing it behind our little nativity (and vintage bias tape trees) where I think it fits perfectly. It's a scene that makes me happy every time I walk by, reminding me of all the wonderful things about Christmas. Like you, I've got a lot to fit in this week and will try and post what I'm doing as much as possible. I can't believe the days are counting down so fast! The Christmas season always go by much too fast and we're trying to enjoy every little moment we can.